Check out my lino print video and orignal song in this Dr. Phibes video! 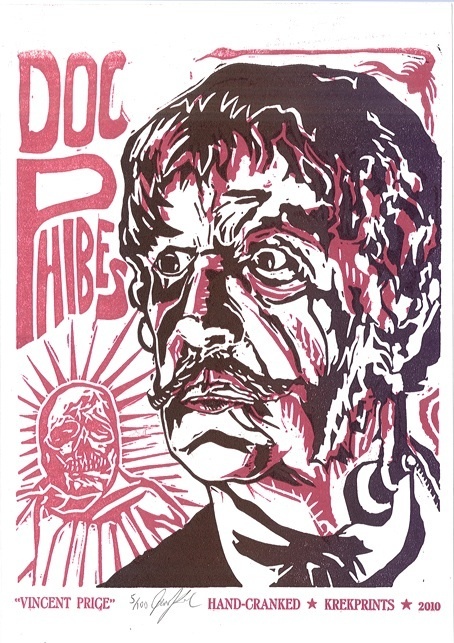 This entry was posted in Linocut Prints and tagged abominable, Asheville, B- mOvies, dr phibes, folk art, genre films, Halloween, hammer films, hand prints, horror movie, monster, monster art, Vincent Price by Jason Krekel. Bookmark the permalink.